Functionally, both rigid and flexible circuit boards serve the same purpose of connecting electrical and mechanical components. Flexible PCBs can take on three-dimensional configurations, which has made them desirable for the smallest tech devices looking to replace traditional wire harnesses, But, depending on what you’re trying to build and the capabilities of your electronics manufacturing service, it’s good to know the characteristics and limits of each. In many cases, rigid PCBs still tend to cost less than flexible circuit boards. But, when you look at the whole picture of manufacture and ownership, the cost equation may shift to flexible PCBs. Both forms of PCB have IPC standards that they must follow and processes that remain the same in either rigid or flexible PCB manufacturing. Still, with enough similarities as differences, it’s important to know what you’re looking at when weighing the options with your electronic manufacturing service provider. The rules surrounding rigid PCBs include things like minimum hole sizes and spaces and design thickness. Flexible PCBs do not have these requirements but do have rules specific to them as well. Both products share processes like drilling and plating holes, etching pads and outlines, and baking the PCBs. Where rigid PCBs would ultimately be soldered together, flexible circuit boards undergo an encapsulation process called coverlay. If you take a look at costs for manufacturing rigid PCBs versus flexible, you might have some sticker shock on the flexible side. The truth is, for all their advantages, flexible PCBs do require more care and handling, so the costs are reflective of that. However, they can offer long-term savings for some products. Traditional rigid PCBs require all the traditional connectors, wire harnesses, materials, labor and assembly costs. These processes are well-understood and perfected, materials are known, and costs are fairly predictable. Flexible PCBs offer space savings and greater reliability but designing for their complexity can be difficult. The predictability factor of rigid is enough to give rigid PCBs the advantage over flexible in some industries. Most rigid PCBs are either squares or rectangles, making them cheaper and easier to manufacture. 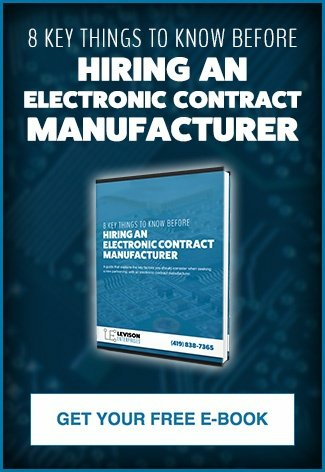 If you and your electronic manufacturing service provider understand the benefits and constraints of both, the time invested in assessing your project’s needs and capacity with either type of PCB could amount to significant cost and time savings in the long run. The key advantage of flexible circuit boards is that they can flex, bend, fold, and twist in ways that are impossible with rigid PCBs. 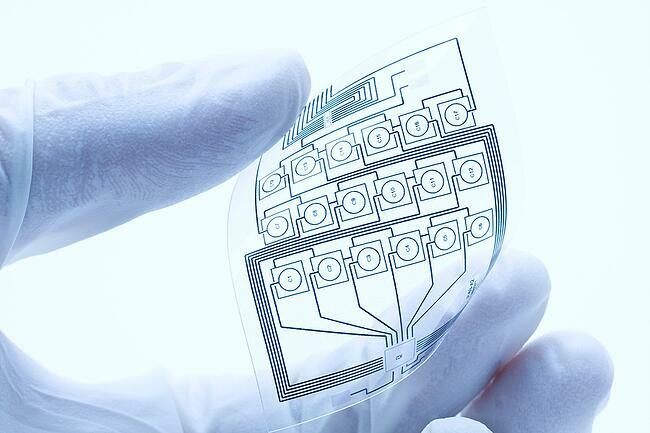 This technology has basically eliminated packaging constraints while still retaining all the precision and repeatability of traditional rigid printed circuit boards. Because of this, flexible circuits are commonly replacing wiring harnesses, eliminating many connectors and cables (and all their material and labor costs) in the process. No more color-coding wires and bundling them. Assembly is much faster, installation time goes down and precision increases. The connections are more robust that solder and the quality of the connections are improved in a flexible circuit board. They are more resistant to vibration and shock, and if they do fail, they can be easily replaced. There are still many areas where rigid PCBs prevail as the preferred circuitry, but increasingly, the advantages in time savings and precision of flexible PCBs wins out. Flexible PCB or rigid, the baking process of your PCB is vital to its ultimate integrity. This is, therefore, a step where you’ll want to listen carefully about your EMS’s capability. Of most importance is the EMS’s ability to create, cook and cool a PCB properly so that stenciling, and placement are done perfectly for your project. They also must be able to accommodate the profile or sequence that your PCB needs to be baked at. A flexible circuit board, in particular, is easily ruined. Further, a flexible circuit board may need to be designed with rails, which are mounted on the board to help it stay in place while placing components and be held while it’s baking. The rails hold it tight and in place during baking, after which the rails are taken off. It’s one thing to determine that flexible PCBs are the way to go for your project. It’s an entirely different thing for your EMS to be able to produce them for you without error or additional cost. Not all electronics manufacturing services are capable of designing and manufacturing flexible PCBs. Levison Enterprises is fully equipped and able to design and build the flexible PCBs you need to make your project more efficient. Levison Enterprises has an in-house oven capable of setting temperature profiles and cooling your flexible circuit board in specified stages. Each stage warms slightly and then cools slightly to give each PCB a controlled incremental temperature. This means your PCBs will not delaminate and will have the long-term reliability you need. Levison Enterprises understands what types of fit and design you need to incorporate into your project and the long-term effects and costs you may encounter with each. In addition, our designers understand the different types of rigid and flexible circuits available and how they work. We want to put this knowledge and expertise to work for you. Contact Levison Enterprises for your next PCB quote.